The Flippening refers to the foretold event that an alternative cryptocurrency will dethrone Bitcoin. 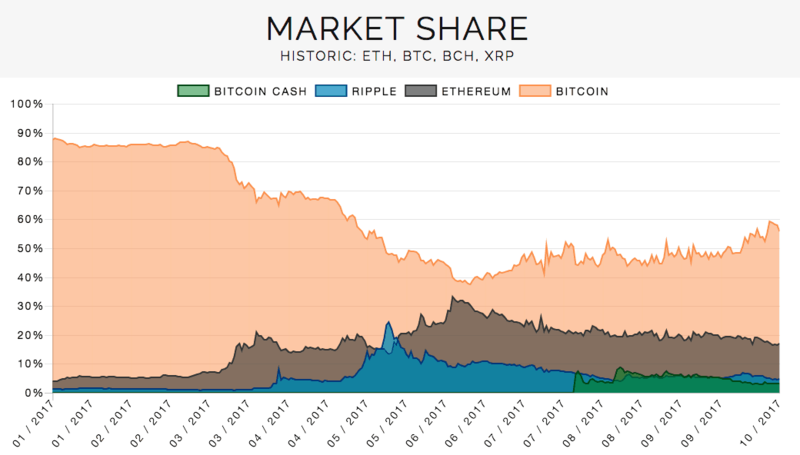 Currently, Ethereum and Ripple are expected to be Bitcoin’s hardest rivals in the future. Nonetheless Satoshi Nakamoto’s digital cash is still commanding with a current market dominance of approximately 40%.